Peach And Passion Fruit Mousse Recipe. Looking for a nice and creamy mousse recipe? How about trying this Peach and Passion Fruit Mousse Recipe? This elegant peach and passion fruit mousse recipe is light and refreshing, the perfect end to a special meal. Perfect to try not or save for a special event. Begin by breaking the gelatine into a bowl and add the boiling water and mix. Leave to completely dissolve. Add the yogurt and lemon juice to the warm gelatine and mix thoroughly. Pour into a container or cover and leave to set in the refrigerator overnight. To make the mousse whip the set yogurt with the cream using an electric whisk. Whip until soft peaks are formed and the mixture is glossy without lumps. Layer the mousse into serving glasses alternating with the peach puree. Return the layered mousse to the fridge to chill for approximately 40 minutes. This will allow the mousse to set and the bubbles to form. Tip: Always add cold liquids to warm gelatine to ensure good setting properties. Guest post. Recipe c/o of Rachels Organic. No payment was received. 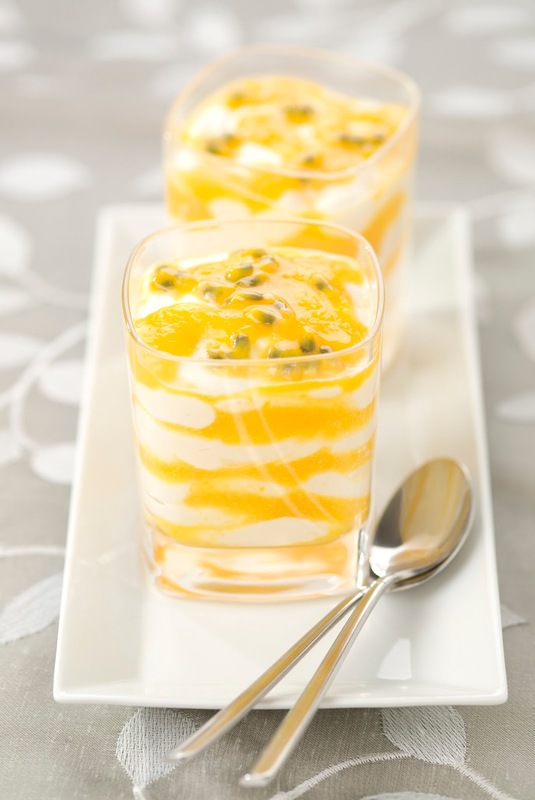 What do you think of this Peach and Passion Fruit Mousse? Have you made any mousse recipes before? Perfect for an afternoon tea, special treat or dinner party. Love for you to share your thoughts in the comments below. Sharing another yummy recipe today that looks great in your old jam jars. A perfect recycle idea for you old jars, just clean them out and re-use!! Hello, fancy making an Organic Vegan Chocolate Mousse? This tastes just like a conventional chocolate mousse made with eggs and cream, and yet it’s completely vegan! I don’t think anyone will guess the main ingredient is avocado unless you tell them. The coconut oil helps to firm up the texture, and the agave syrup supplies the sweetness; alternatively, you could use pure maple syrup. "Tarantula Eggs With Venom Dip: Halloween Recipe"
"Cheese, Pickle And Potato Pie"
I like the sound of this fruit mousse recipe. I don't know if I can find a passion fruit yogurt, but would love to try this! Thanks for the comment 🙂 I love passion fruit.. Yes please. This sounds amazing.